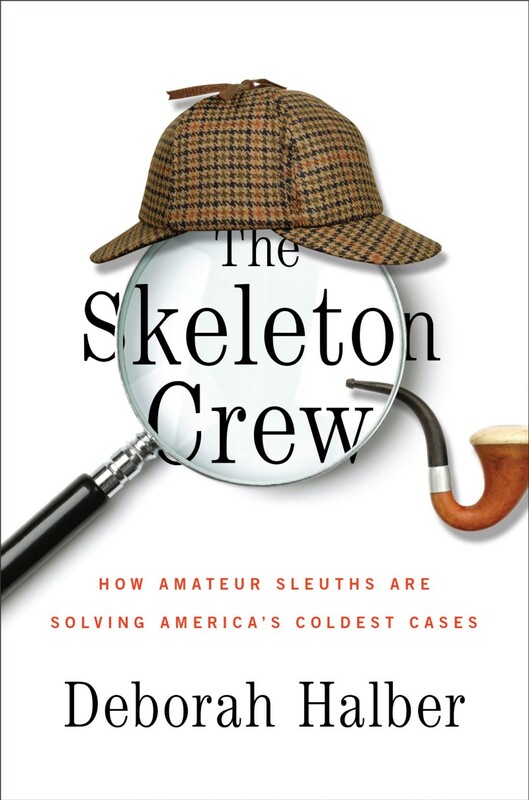 When I researched and wrote THE SKELETON CREW: How Amateur Sleuths Are Solving America’s Coldest Cases, about unidentified human remains and the web sleuths who become obsessed with them, hers was one of the apocryphal cases: Caledonia Jane Doe, a teen found shot to death in a cornfield in upstate New York in 1979. A Canadian named Troy More started a Yahoo! cold cases group—back when Yahoo! had barely launched—because of her. A Rochester woman worked tirelessly to keep the case alive. A Facebook page dedicated to Cali has more than 1,500 “likes,” and she is profiled on dozens of sites dedicated to the missing and unidentified, including Websleuths.com, which has more than 70,000 registered members who compare notes on everything from celebrity murders to cold cases. Websleuths user Carl Koppelman, a certified public accountant and artist in El Segundo, Calif., sketched facial reconstructions of Cali based on autopsy photos. In the fall, when he saw a photograph of a missing Florida teen pop up on the Internet, he said he immediately knew it was her. In mid-January, DNA testing confirmed that Caledonia Jane Doe is Atlanta native Tammy Jo Alexander, a former student at Hernando High School in Brooksville, Florida, who was last seen Nov. 3, 1979, the day after her 16th birthday. “I was happy for Tammy Jo’s family (but) I was sad that it took way too long,” said Rocky Wells, a longtime volunteer for The Doe Network, a virtual organization for the missing and unidentified. The Doe Network morphed into its present-day existence around 1999. Around that time Cali became 1UFNY, the first Jane Doe posted on the site. Rocky told me the board’s administrators had looked at least 84 possible matches for Cali over the years. Todd Matthews, a Tennessee man who spent 10 years on a puzzling Kentucky case involving a young woman found, like Cali, dead by the side of a road, was one of the first Doe Network users. Todd now works for the National Missing and Unidentified Persons System, or NamUs, a national centralized repository and resource center for missing persons and unidentified remains. NamUs provided the DNA analysis that confirmed the ID. Last August, Tammy Jo’s classmate and friend, Laurel Nowell, called the Hernando County Sheriff’s Office. She “just felt like seeking out” her long-lost friend, she said. The information, and the photo Koppelman spotted, were entered into NamUs, and the National Center for Missing and Exploited Children immediately started an investigation. Tammy Jo’s family provided a DNA sample. Todd says it’s not unusual for a missing person report to vanish or end up in a filing cabinet. “You can’t take for granted the file was digitized and shared outside of the local reporting area,” he said. Former sheriff York was one of many who visited Cali’s anonymous grave each year at Green Mount Cemetery in Dansville, NY, and left flowers. “Lest we forget,” is inscribed on the plain stone.